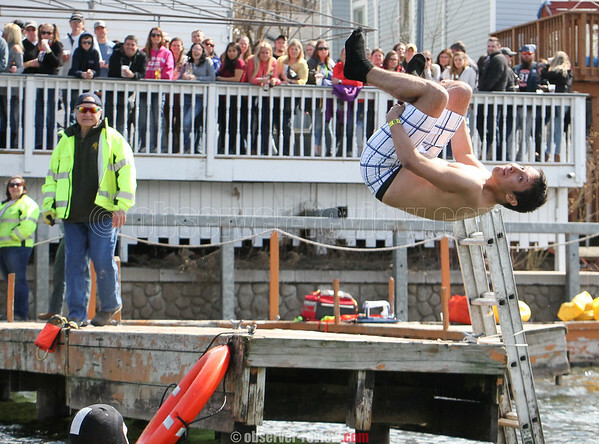 KEUKA LAKE--The Switzerland Inn on the east side of Keuka Lake hosted the annual Polar Bear Plunge, Saturday, March 30. The event is often referred to as the unofficial start of spring. Jumpers from around the region performed their best moves for the crowd watching from the decks.